Communication through music challenges us to translate feeling into song, establish discipline of mind, and find harmony in teamwork. Music is a vibrant piece of the liberal arts education that transcends the academic world. It strings our memories together with the nostalgia of sound and allows us to express ourselves in varied ways. Why study Music at Sewanee? If you study music at Sewanee, your talent will be cultivated in a variety of settings, increasing your professionalism, talent, and likelihood of success in postgraduate pursuits. A wide variety of music styles are represented here on the Mountain. Through composition, performance, theory, and music culture, you’ll be exposed to a wide range of tracks and be able to choose the paths that best suit your talents. We offer composition and theory, music history, and performance. 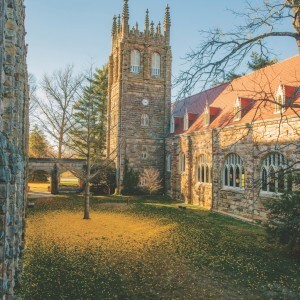 Sewanee has a long tradition of outstanding music making, from the nationally renowned University Choir and orchestras to faculty-led ensembles. You’ll get to experience choral music, jazz, classical, folk, and much more. Let the Sewanee music program connect you with other disciplines across campus. It's the embodiment of a liberal arts experience. Analyst, Carlisle and Gallagher Consulting Group, Charlotte, North Carolina. After school music teacher, Community Music Centers of Atlanta, Atlanta, Georgia. Organ scholar, the University of the South, Sewanee, Tennessee. P-3 teaching assistant, First Lutheran School, Knoxville, Tennessee. 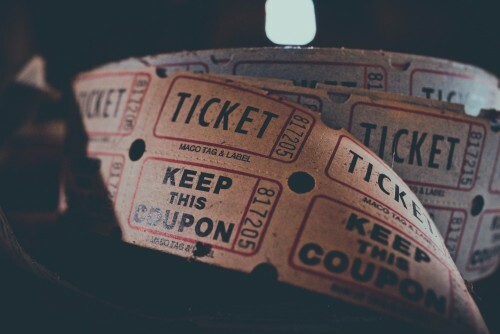 The Sewanee Symphony Orchestra (SSO) presents a full range of the symphonic repertory and includes a wide variety of musical styles and genres. 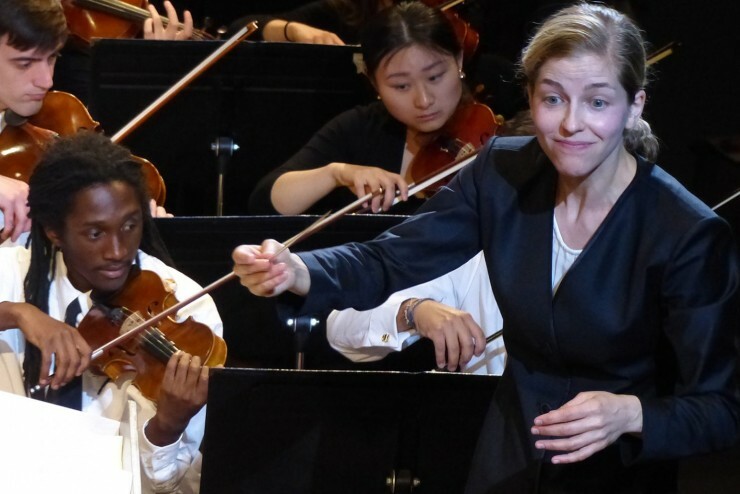 As a key component of the liberal arts environment, the orchestra not only collaborates with other music ensembles but also often participates in campus-wide interdisciplinary projects. Sewanee's orchestra is a vivid reflection of our community. It is common for students to play alongside their professors, University administrators, and community members. 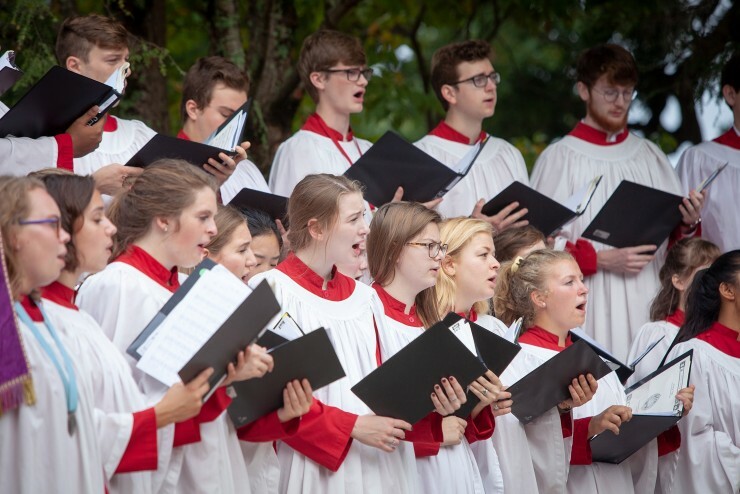 The University Choir plays an important role in Sewanee's musical life, singing at weekly services in All Saints' Chapel, monthly evensongs, and other campus events. A highlight of each year is the annual Festival of Lessons and Carols. This service regularly attracts 3,000 visitors to campus and has been featured in Southern Living and Garden and Gun. As an active touring ensemble, the choir has performed extensively throughout the United States and England. 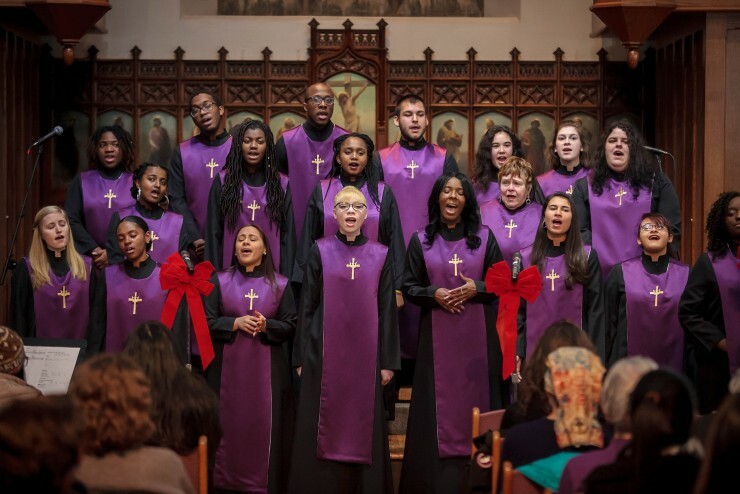 Sewanee Praise ministers the Gospel in song to the campus and surrounding communities. The choir’s diverse membership is made up of students, faculty, and community members from various backgrounds and experiences. Its repertory covers spirituals, traditional and contemporary gospel, contemporary Christian, and praise and worship. Sewanee Praise performs two concerts—one each semester—as well as other campus events and regional tours. The University Jazz Ensemble started as a small ensemble and has grown into a 17-to-19 piece big band that covers the repertory of large ensemble jazz ranging from Duke Ellington and Count Basie to big band arrangements of popular songs by the Beatles and the Jackson 5. The Jazz Ensemble focuses on developing student jazz musicians by providing an opportunity for a challenging ensemble experience while encouraging performers to explore jazz improvisation. The Jazz Ensemble offers two performances on campus each school year, and also plays in local venues as requested. 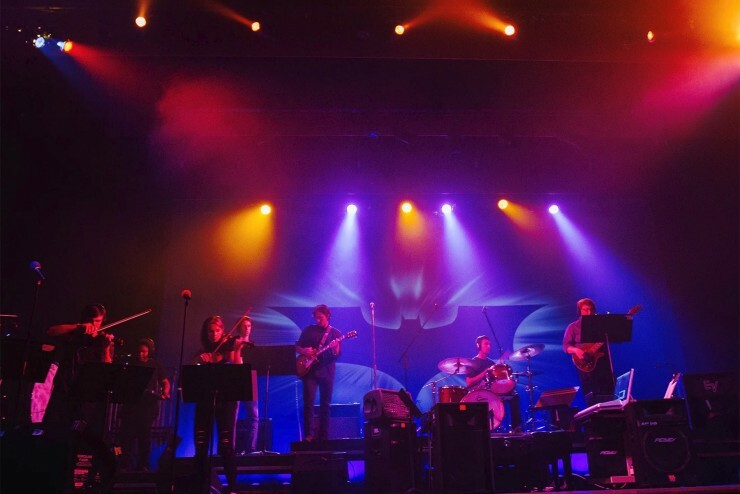 Live Music Sound Nation is a contemporary instrumental multi-media ensemble, focusing on the production and performance of modern rock and film score shows. Using a highly collaborative approach, the next generation of talented musicians and artists rehearse music and prepare visual displays for arena-style rock and movie concerts. We use the latest in sound, lighting effects, and design as we perform the compositions of the great musical artists of the modern day. The roots music of the Southeast has been one of the region's and the country's chief exports. Musicians wander back roads, crowd front porches and church pews, and sometimes make their way to music centers like Nashville, New Orleans, and Memphis. This course focuses on musicians in the Southern tradition and addresses diverse idioms including folk, blues, country, bluegrass, rockabilly, zydeco, and shape-note singing. An examination of representative canonic works composed between the mid-18th century and the beginning of World War I. During this period music traces the socio-political changes seen more broadly in the West, from aristocracy to democracy, with musicians pursuing ever greater freedom of individual expression. Large-scale and chamber works by composers such as Mozart, Beethoven, Brahms, and Stravinsky are addressed from an analytical, historical, and critical perspective. 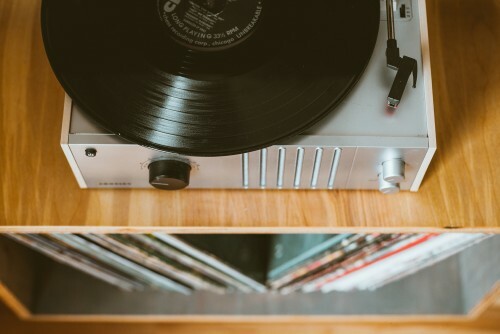 Recording technologies, which date back to the late 19th century, have affected music more profoundly than any other musical change since the adoption of music notation. This course traces the development of those technologies, with particular attention to the performers, composers, and repertories that have exploited them. Many important figures and movements in 20th- and 21st- century music are addressed: ragtime, blues, jazz, and rock; Copland, Varèse, Reich; the Beatles, Pink Floyd, and Radiohead. Different recording formats—from piano rolls to mp3s—receive particular attention. Jazz has been called "America's classical music" and the United States' greatest musical export. Jazz is at once an improvisatory yet timeless art. This course presents a chronological survey of its major styles and artists, from African acculturation in the New World to the present. Topics include the roots of jazz, the New Orleans masters, jazz in the 1920s, Big Band, Bebop, Post-Bop styles, Avant-garde, Fusion, recent developments, and jazz vocalists. Through listening assignments and attendance at live performances, students learn to identify jazz styles and instrumentation. 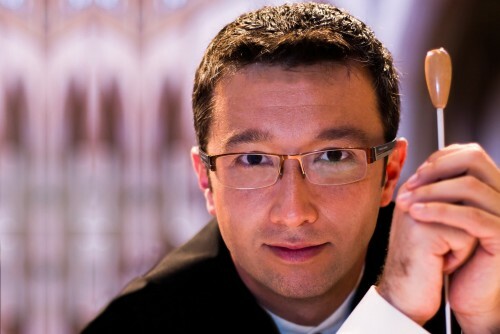 Colombian-born conductor and musicologist César Leal is the artistic director and conductor of the Sewanee Symphony Orchestra and also serves as a faculty member of the Sewanee Summer Music Festival. He has led ensembles across the United States, Panama, Colombia, France, and the Ukraine. 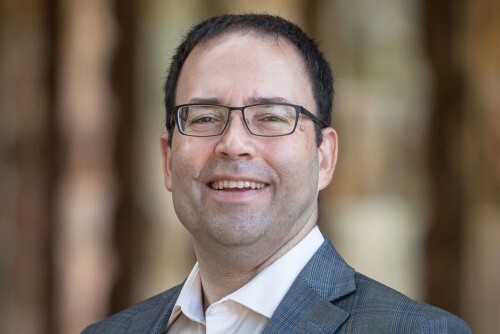 Maestro Leal’s activities as a conductor and musicologist often intersect, and his interest in interdisciplinarity and collaboration often inform his scholarly and artistic projects. Stephen Miller studied classical violin before discovering music history, the field in which he has lectured at the University of Chicago, the University of Rome (“La Sapienza”), and the University of the South. 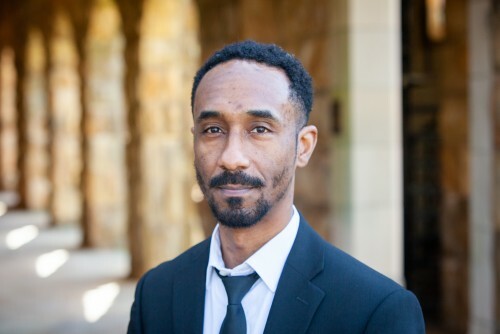 He joined the faculty at Sewanee in 1995, with his teaching oriented toward European composers. His interests have expanded to encompass Southern musics, including blues, jazz, and shape-note singing. 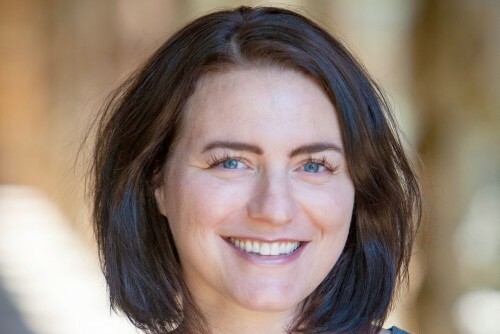 Originally from Eureka, Kansas, Hilary Ward's education began at a small, neighborhood elementary school just blocks from her home, and continued at a large high school with a renowned fine arts program located 50 miles away from home. Ward has traveled long and far to be part of schools that offer high-quality learning experiences and an environment enhanced by culture and diversity in all its many forms. Kash Wright holds a B.A. in music theory and composition from McDaniel College and an M.A. in jazz studies from the University of North Texas. 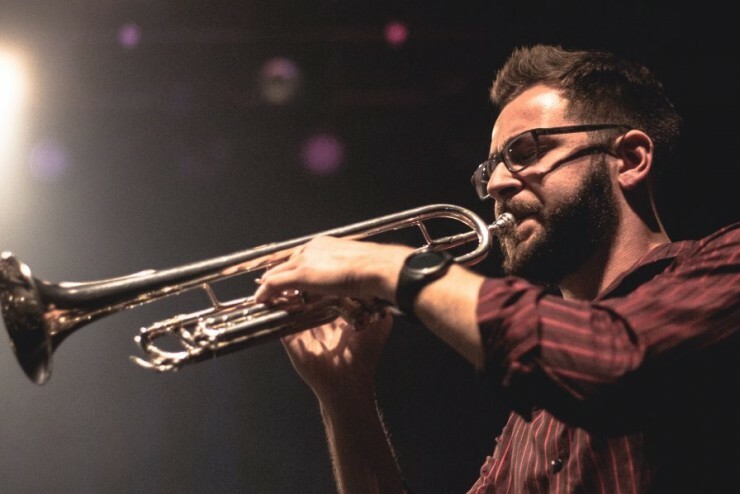 He is an active and in-demand musician on the Maryland/D.C./Virginia jazz scene and has played venues with his trio and as a sideman for various local artists. Known for an impeccable sense of swing, tasteful arrangements, and bold original compositions, Wright is an absolute pleasure to listen to. Calling all young maestros and virtuosos! 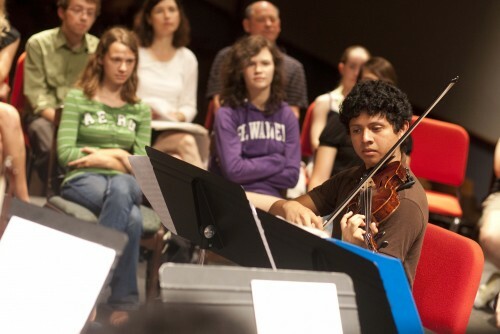 Partnering with the Accelerando program, the Sewanee Summer Music Festival provides educational opportunities to students of color who are underrepresented in modern orchestras. It’s one of the nation’s premier orchestral and chamber music festivals. 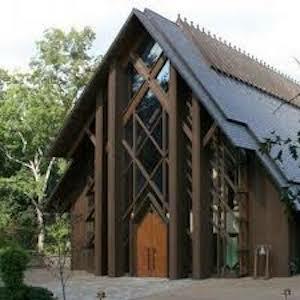 The Tennessee Williams Center provides unique, state-of-the-art facilities for students and faculty. Created with funds from the estate of Tennessee Williams himself, the center houses a fully equipped 175-seat theatre, a 60-seat studio theatre, a drafting and design studio, a dance studio, costume and scenery studios, and dressing rooms. This state-of-the-art facility offers an unparalleled resource to campus. It houses a world-class collection of music (over 15,000 records!) and features the best sound playback system available. The heart of the Ralston Listening Library is the speakers. It’s like the musicians are right there in the room with you. Come check out our collection—from baroque to the blues, we have it all.